For a view of life that tosses everything — from race, to nationality, to the very meaning of home — on its ear, travel to the post-colonial world. 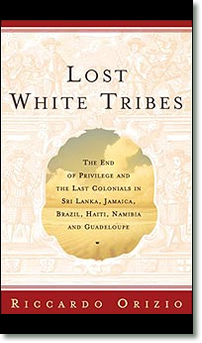 Travel to the tropical climes where European cultures long ago set up shop amid dark-skinned natives, and where, years later, some stragglers remain, generations removed from their homeland. Some cling to old traditions; others have created a culture that would make them strangers in the land where people share their last name and skin color. Your guidebook is "Lost White Tribes," which tells the story of six expatriate enclaves that agree with Thomas Wolfe that you can't go home again, nor, in many cases, would you want to. These are not stereotypical upper-class English sipping tea at palaces, but descendants of merchants and sometimes laborers. The Dutch burghers of Sri Lanka, who now live in crumbling mansions, enjoyed perhaps the most enviable life: "In the hot months the best Burgher families escaped to the Nuwara Eliya hill station with its golf course, racetrack and English club where billiards was played every morning at eleven o'clock. ... In the evening they danced to gramophone records. Fires burned on the hearths, not for their quite unnecessary warmth but to create the delicious fantasy of living à la English Home Counties." The Confederados are descendants of Confederate families who fled the American South for Brazil, where they rebuilt their society, complete with banjos, barbecue and a General Lee look-alike reading the Appomattox letter of surrender in Portuguese. 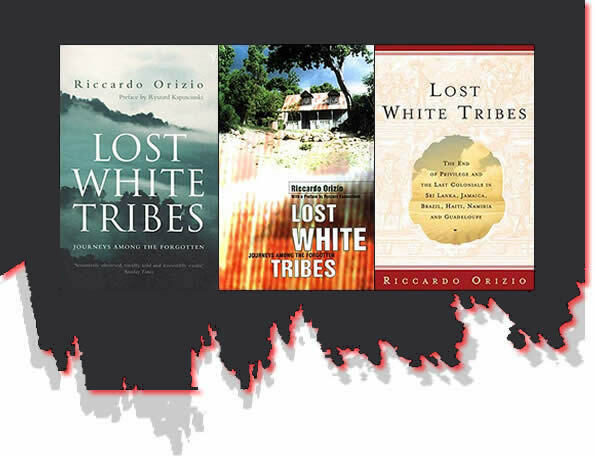 These "lost white tribes" experience race like the mirror room of a fun house, bewitched by constantly shifting angles. Some profess the lack of racism in one sentence, then prove its existence in the next. Other societies appear truly colorblind. One telling moment comes as Tony Wedemeyer, a fifth-generation Jamaican of German descent with blond dreadlocks, relates a study trip to Germany with two fellow students. When he refers to Jamaica as "home" to one of his German teachers, the man is confused. "What home are you talking about?" the teacher asks. "Do you mean that all three of you come from the same place?" Says Wedemeyer: "It was then that I looked at my white skin and realized, for the first time in my life, that I was different from the other two Jamaicans." As a travel guide, Riccardo Orizio, senior editor of CNN Italia, is like a group leader who can't resist stopping at each store window. He jumps from anecdote to history without much logic. Often the description of how a certain people came to be at the ends of the Earth doesn't arrive until well into the chapter. But such randomness seems almost appropriate in a book about some of the most languorous locales in the world. It's sort of the equivalent of "island time," and the reader's patience with it grows with exposure.